Graduation is a proud moment for the special nurse graduate in your life. It is a milestone for most nurses because this is the start of the real challenges that they were specially trained for. What better way to cap off that glorious occasion is to give the best jewelry you can find. 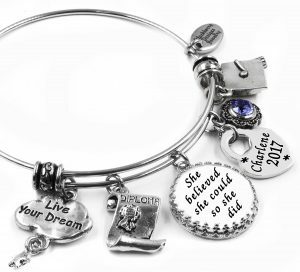 Here’s our picks for the best jewelry for the nurse graduate. Searching for that perfect gift is simpler than you think. We have compiled a list of the best jewelry for the nurse graduate to guide you in finding the right one. We hope you can find that sentimental keepsake to show your pride in their accomplishments. This simple and elegant necklace has a beautifully handcrafted infinity angel pendant charm. It comes with a greeting card that says, “Nurses are like Angels on Earth.” It is made of stainless steel that does not tarnish or rust. One of the best jewelry for the burse graduate is the Zuo Bao cuff bracelet. It is made of steel that is lead-free and nickel free, it will not rust, fade color, or tarnish. It a slightly heavy but still comfortable enough to wear every day. This necklace uses high-quality stainless steel with gold plating that will not rust, tarnish or easily fade. 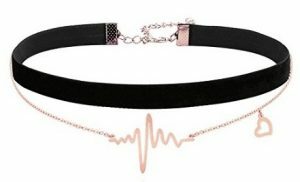 It has a heartbeat, cardiogram pendant that is perfect for the nurse graduate. It does not come with an extender, but the manufacturer can customize the length for you. 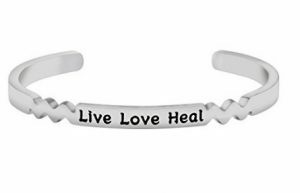 This fashion bracelet is made of steel that is safe for use by those with sensitive skin as it is lead compliant in all 50 states. 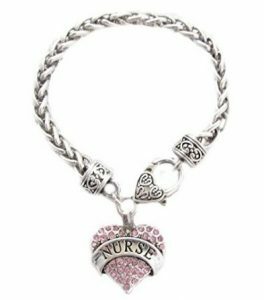 It has a lovely charm that is adorned with stunning crystals and the word “Nurse” written across it. 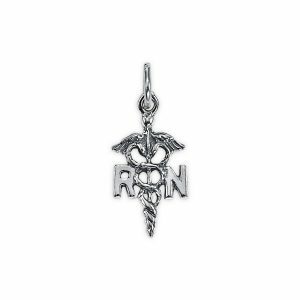 Made of high-polished sterling silver for longer life, this pendant is designed with RN block letters and the caduceus medical alert symbol. It can be used as a necklace pendant or a bracelet charm. It comes in a free special packaging that is ready to be given away as a gift. Most nurses are not allowed to wear excessive jewelry when on duty. Even if she will not wear it at work, it is best to give her something that is simple and that she will love to wear every day. Choose jewelry that will not cause pain or discomfort to the recipient. Hypoallergenic kinds will be safe for those with sensitive skin so you can confidently give them as gifts. Get jewelry that would be a good remembrance of her achievement. Find something that she would love to wear and would show her how proud you are of this milestone. Giving a gift that is relevant to the profession the graduate has chosen for herself adds more sentimental value to it. Giving jewelry means you appreciate all her efforts and conveys the pride you have for what she has gained. 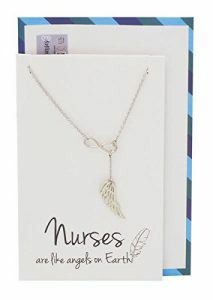 This list of the best jewelry for the nurse graduate perfectly honors the hard work your nurse graduate has done and gives her the boost she needs to start a new life ahead of her.